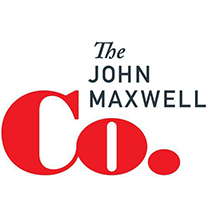 John Maxwell shares three important truths the Bible teaches about hell and the afterlife. When I was in college taking a basic speech and communication class, our professor taught us that in a speech one of the first thing you wanted to do when you stood before people, was an "attention step." The first few words of what you say are to rivet the people's attention on the subject until they won't leave it. And I remember him having us practice our "attention steps." I'll never forget when Jonah Mitchell, one of my friends, decided to make a great impact with his speech. So when he got up, with all his lungpower, he yelled, "fire!" He got our attention. He got the attention of all the other classes in that hall. We all ran out, as kids are always looking for a chance to escape. And we stood outside and thanked Jonah for getting us out of class early. This message needs no "attention step," but we certainly need to listen very carefully. In Matthew 13, our Lord gives seven stories, to teach us about the kingdom of heaven. Matthew 13, beginning with verse 47, we read: "Again, the kingdom of heaven is like a dragnet cast into the sea, gathering fish of every kind. And when it was filled, they drew it up on the beach, and sat down and gathered the good fish into containers, but the bad they threw away. So it will be at the end of the age. The angels shall come forth and take out the wicked from among the righteous, and will cast them in the furnace of fire. And there will be weeping and gnashing of teeth." In verse 51, Jesus asked His disciples a question. "'Have you understood all these things?' They said to Him, 'Yes.'" How many of you remember the old television series Dragnet? If you were too young to remember the series, perhaps you can remember its theme song: "Dum, dum-dum, dum‑dum." I know you're saying, "No. I don't recognize that at all." Of all the commentaries that I have, this TV series probably explains this passage best. It's a picture of fishermen taking a net and dragging it across a lake to gather in all the fish. 1. All people will be brought to judgment before God. There will be a time when we will be gathered together, just as the fish were dragged out of this lake, and put on the shore and separated ‑‑ the good from the bad. Hebrews 9:27, "It is appointed for man once to die, after that the judgment." When Jesus gave this story, He didn't talk about a fisherman with a hook, line, and sinker. He didn't give us the picture of a man who went out fishing just for a few fish and pulled some out of the lake. It's a clean sweep. Yesterday, I took Joel and Elizabeth and one of Elizabeth's friends fishing. We threw out our lines, and pretty soon I caught a bass. As I pulled that bass in, their eyes got wide. Joel looked at me and said, "Daddy, in what exact spot did you put that line?" I pointed and said, "Right there beyond that rock." If he asked me that question once during that afternoon, he asked me ten times. That was the only fish we caught. It's not my gift, folks. I can guarantee, when we finished yesterday afternoon, there were a lot of fish left in that little pond. We did not use a dragnet. We did not bankrupt the pond of fish. 2. A separation process occurs. Jesus said that when the fishermen gather the fish up on the bank, they're sorted out. The good fish they put in a container, the bad fish they throw away. 3. The wicked will be assigned a place in hell. Lesson No. 3 out of this story. The wicked will be assigned a place in hell. Those bad fish don't go to the same place as the good ones. The Bible clearly teaches us that people that have accepted Jesus Christ as personal Savior and have allowed his blood to wash away their sins are going to a place called heaven. But there is a separation, and those who have not allowed that to happen, will go to another place called hell. When Jesus finished this story, He looked at His disciples and said, "Men, do you understand what I'm saying?" And they said," "Yes. " Now, for the next few minutes I'm going to be preaching on the subject of hell. And there are going to be times I'm going to want to do as the Lord did that day to the disciples. I'm going to want to stop in the message and ask you, "Do you really understand what I'm saying, that there is a place where men go who do not know Jesus Christ as Savior, forever in eternal torment?" Sadly enough and surprisingly enough, I've found in Christian circles a soft touch when it comes to a real belief in hell. We certainly embrace heaven, and we certainly enjoy the idea of a fellowship of believers forever in a place with the Lord Jesus Christ where He will be crowned King. But when it comes to the place where people go that do not know Christ, especially when we think of our loved ones and our neighbors and our friends, we tend to just to ignore the subject. Or we say, "Well, they're just not going to heaven." That's not the case. Let me take what I would consider the three most pressing questions on the subject of hell that are asked of me as a pastor. 1. Can a good God justify hell? Some people come up to me, and the first thing they ask is, "Can a good and loving God really send people to hell? Can you really justify hell when God is a God of love?" I want you to understand that in the attributes of God there is a balance. God is a God of love, the same God who loved us so much that He gave us His only begotten Son to come into this world and die for our sins. But this God of love is also a God of holiness, of justice, of righteousness, a God who cannot do anything less than what is absolutely right. Now, in a society that kind of winks at sin and treats it in a nonchalant manner, it's very difficult for us to grasp God's holiness. It's interesting, of all the great attributes of an Almighty God, the only one given significance by being repeated three straight times is the holiness of God. When Isaiah entered the temple, and saw the majesty of God filling that temple, he said, "Holy, holy, holy is the Lord God." You see, He's a holy God, a God that cannot do anything less than right. A God of character and justice and righteousness. He cannot allow you or me to do wrong without being disciplined and punished. You see, He has a great plan, to save the world. That's Plan A, the ultimate for God. He's not willing for any of us to perish. You see, God in his Plan A, said, "I will send my only Son, Jesus Christ, to redeem mankind." But there's a Plan B. Sometimes we force the other option. What happens to the person who willingly disobeys, who willingly rejects God's only Son, Jesus? What is going to happen to that person? You see, the Scriptures picture Jesus not only as a Lamb, a meek person who would willingly give his life so we could be saved. But over in Revelation 5:5 it pictures Jesus as the Lion of Judah. I want you to see that if you don't accept Him as the Lamb, you will accept Him as the Lion. And the holiness of God demands that we do right, and the justice of God demands that He do something about those who are not right. 2. Isn’t hell a stiff penalty for not believing in Christ? Turn with me to Hebrews 10, please. In Hebrews 10:29, the writer of helps us understand why there must be a stiff penalty and a place called hell. First, I want you to back up one verse with me to verse 28, because it opens the door for verse 29. Verse 28 talks about punishment under the Old Testament law, from the time of Moses, "Anyone who sets aside the law of Moses dies without mercy, on the testimony of two or three witnesses." Under the law of Moses, if you knowingly and willingly disobeyed it, and two or three witnesses said, "I saw him disobey it," you had the possibility of being stoned. That's punishment under the law. Now in verse 29, the Hebrew writer begins to talk about punishment under grace. "How much severer punishment do you think he will deserve who has trampled underfoot the Son of God, and has regarded unclean the blood of the covenant by which he was sanctified, and has insulted the spirit of grace?" The writer says three things about unbelievers in this passage. He says if you do not accept Christ as personal Savior, you will go to hell because under your own feet you have trampled God. You have treated God and His own Son with disdain. The phrase, "trample underfoot" is a very interesting one. In fact, Jesus used it twice in the gospels. He gives us two graphic illustrations of what it means to trample something underfoot. Do you remember the Sermon on the Mount when Jesus talked about salt? He says that when it loses its flavor, the salt is just cast on the ground and trampled underfoot. Because the salt no longer serves a purpose. Now, the Hebrew writer says that's exactly the way the unbeliever treats Jesus Christ. They see no purpose in His death, in His resurrection, in what He has done. And so, they just treat Him as they would treat a roadway. Jesus gives a more graphic illustration in Matthew 7:6, when he says, "Do not give dogs what is sacred, and do not throw your pearls to the pigs. If you do, they may trample them under their feet. And, then, turn and tear you to pieces." In giving this story, Jesus said that it's senseless to throw a pearl to a pig. Because the pig has no sense of value whatsoever. In fact, the pig would rather have slop than a pearl. He can't eat a pearl. It has no value to him. And so because he does not understand value, that pig will ignore the pearl and trample it underfoot and lost forever. Something of value will be lost because the pig would rather have slop than a pearl. When the Hebrew writer says that the unbeliever has trampled Jesus Christ underfoot, he is painting a word picture of an unbeliever who looks at Jesus' death on the cross, and considers it of no eternal value to his soul. He actually would rather sell those privileges of eternal value and beautiful relationship for a mess of pottage. An eternity of bliss is being traded in for a time of the flesh. B. Regarded Christ’s Blood as nothing special. He talks about how they have regarded unclean the blood of the covenant by which they have been sanctified. And that word "unclean" draws a picture in a Hebrew's mind of a Gentile, who they did not associate with and would not invite over to dinner. They looked at them as worse than dogs. The Hebrew writer says that the unbeliever does the same. He doesn't look at Jesus' blood as precious. In fact, he looks at that blood just as the Jews would the blood of a dog. No difference. No sanctity. No beauty. Contrast that with Peter's viewpoint on the Blood. He wrote in his epistle, that it is more precious than silver or gold. That's why the world does not understand when we come to the Lord's table one Sunday night of the month, and hold in our hand the cup, symbolizing the precious blood, and the bread. We eat of that body that was bruised for our iniquities, and we drink of that cup reminding us that "There is a fountain filled with blood, drawn from Emmanuel's veins. And sinners plunged beneath that flood lose all their guilty stains." C. Insulted the Spirit of Grace. And finally he says in verse 29 that the unbeliever insults the spirit of grace. The power of God's spirit is speaking to the unbeliever's heart trying to woo and win him to Jesus, and the unbeliever rejects it and insults it with disdain. They say, "No, I don't want anything to do with it. Leave me alone. Don't bother me any more. I don't want to be a Christian. I want to do my own thing." A terrible picture, isn't it? One of the reasons it's so terrible is I can remember when I was in that picture myself. 3. Does an unbeliever consciously choose to reject Christ and suffer the consequences? I'm often asked, "Pastor, do you really think that an unbeliever consciously chooses to reject Jesus? Come on now. You really don't believe that they consciously choose wrong instead of right? You don't really believe that they consciously choose sin instead of salvation, do you?" Let's let Romans 1 handle that question. A. They know God's wrath. The unbeliever knows the wrath of God. Look at verse 18. "For the wrath of God is revealed from heaven against ungodliness and against all unrighteousness." "Reveal" means unmistakably clear. Unmistakably, God has made clear His hatred of unrighteousness and ungodliness. If you read this passage of Scripture, Paul continually shows how clearly the unbeliever is aware of the conscious choice they’re making. Let me pick up the phrases and see if you can follow along. He says in verse 19, "God has made it evident to them." He says in verse 20, "They have clearly seen and understood." He says in verse 21, "They knew God." In verse 23, he says, "They have exchanged the glory of the incorruptible God for an image." They exchanged what? They knowingly exchanged God and God's Son for the flesh and sin. Verse 24, "God gave them over..." because they did this knowingly. Verse 25, "They exchanged the truth of God for a lie." Verse 26, "God gave them over." Verse 28, "Since they did not see fit to acknowledge God any longer, God gave them over." Verse 32, "They know the ordinance of God." So when people ask if people consciously reject God, the answer is, "Yes, they do. They really consciously reject Him. Now, I know what you’re thinking: "Now, wait a minute. How about that person who has never heard? " How many of you have let that thought enter your mind in the last three minutes? Would you raise your hands, please? Thank you very much. Hundreds. Put them down. Now, I'm going to help you out. Since I can't cover all theology in one message, I'm not going to deal with that issue this morning. Let's just forget about that one person who has never heard. Okay. Don't worry. God's fair. He'll be fair with them. Let's talk about you. Let's forget about distant people that we've never seen nor ever will see. Let's talk about the people in the pew, hearing this message right now. We're accountable to God. B. They suppress the truth consciously. He not only says that we know about and are aware of the truth. He also says that we fight against it. He says that in verse 18. That word "suppress" means to hold down. We hold it down. In other words, he said that truth of God and His hatred for unrighteousness, and His desire for us to turn from sin, keeps coming up before us. It's just bobbing up.” It's a picture of something that you're trying to hold under the water. I can remember when my father used to take a bunch of us to the lake to go swimming. We would stand on big inner tubes and try to hold them underwater. About five of us, arms linked, would stand on one and get excited as we saw that inner tube begin to sink. We'd start to celebrate by the time the water got to our knees. But pretty soon one guy would lose his balance. And as soon as that inner tube had just a little bit of leverage, it would throw all five of us. We'd be underwater, and the inner tube would be right back up on top. Paul says that's exactly what the unbeliever does to Jesus Christ. God comes through many vehicles and says," I love you. I died for your sins. I want you to be saved. I hate sin. I love righteousness." But the unbeliever willfully, consciously tries to submerge that thought in their mind and heart. C. They are without excuse. In verse 21, he says, "Because of that no one has an excuse." Isn't it interesting the word often used for hell is the word "gehenna?" Which is a garbage dump. Right outside of Jerusalem in a deep ravine, they took their garbage and burned it. It smoldered 24 hours a day, and had a terrible odor. The things placed there had no value associated with them. Our Lord describes hell by calling it eternal garbage dump. Contrast that to the self‑worth that Jesus gives the believer. Once in awhile I'll counsel an unbeliever. I'll say, "Look, you're torn apart with lack of self‑worth; but if you come to Jesus Christ, He'll give you an identity and a purpose." I have watched people with literally no self‑worth at all come to Jesus Christ, and they develop a self‑esteem and a self‑worth. They realized who they were in the Lord Jesus Christ. And a few years later, they were like the apostle Paul who said , "I can do all things through Christ who strengthens me." But in that eternal place called hell, you are in an eternal garbage dump, and you are junk forever. When you think of the subject of hell, there's something else that will cause you incredible, irreparable emotional anguish in hell. It's over. The Bible says that there will be weeping, wailing, and gnashing of teeth. Let's talk about that gnashing of teeth. It means going "arghh." Now every one of us has gnashed our teeth. Come on now. Before this day is over there will be some teeth gnashes right here. Something happens that frustrates us, something happens that bugs us, and we go "arghh." And we almost come to an end of ourselves for a few moments. I have gone by the kitchen in my house, and noticed that there seemed to be a considerable amount of smoke in the kitchen. And the smell has been a little strange. Then I notice Margaret looking into that stove with smoke pouring out, going "arghh." She's got a burnt sacrifice in there. We went to the Pops on July 4th, and after the good music, we got back in our car and got in a two‑hour traffic jam. And I sat at the wheel of that car going, "arghh." Once in a while, I realized that maybe one of my members was around and I'd smile. "Arghh,"
But there's a difference. You see, Margaret can clear the overbaked whatever out of the stove, and she can go get something fresh and do it all over again. And I can finally get out of that two-hour traffic jam, and I can determine that I'm not going into that parking lot again. You see, in life when we gnash our teeth and go " arghh," there's something about the fact that we know we have got another chance. It isn't going to be like this forever. What's going to make hell, incredibly hell, is the fact that you're going to be there for eternity, and you have no other chance. It's over. I've often said, the only failure in life is when a person realizes they don't have another opportunity. That's why the only failure in life is when a person dies without Jesus Christ. Because now there's never a chance to get up and swing the bat at the ball of life one more time. It's over. Forever and ever and ever. You realize that you have rejected Jesus for the last time. There are no more chances. And you're going to stay there and gnash your teeth forever because it's finally sunk in ‑‑ "I've blown it." Jesus gave us another story about a man who went to hell. He said that this man in hell asked for just a drop of water on his tongue. Now, I don't understand that. I tell you I would have asked for a cup of water. Could I have a pitcher of water? I keep water here inside the podium, and I take a drink once in awhile. My throat gets dry. Feels so good when I get a little drink of it. Kind of just settles me down. This man in hell says, "Could you just stick your finger in and just give me a drop on my tongue? I don't ask for a cup. I don't ask for a swallow. Could I just have a drop? Just give me a drop to relieve this physical anguish that is eternally going through my body." I run into people all the time that think that hell is going to be some kind of fraternity party. They say, "I'm going to hell, but my friends are all going with me, and we'll just have a high old time." Yet, when you look at the Bible, you never see friends celebrating in hell. You never see rejoicing that they’re there together. In fact, there seems an aloneness, a dark solitude. I'm going to tell you why you're not going to have a party there. You see, in hell you're going to have some deep, eternal personal problems. You show me people with personal problems, and I'll show you people looking out for Number One. They're trying to escape and solve their problem, and they're not really concerned about anyone else. When you go to hell, you're going to realize you've got more problems than you could ever individually handle. And it's not party time. This is the hardest one to talk about; it's hardest to describe. You see, even the most ungodly person in our society today has the benefits of the hand of God on this society. They have the benefits of Christians living in the society. Even a criminal that does blatant injustice against society can look forward to the fact that there's a system of fairness that at least is going to give him a chance to go to court. You see, what is hell? Hell is where God withdraws his presence forever. There is no grace. There is no light. There are no possibilities, no exceptions. God's gone. Christians are gone. One word that describes this anguish is "darkness." Hell is a place of eternal darkness. You see, God is light, and in Him there is no darkness at all. At the moment God leaves the room, there's no light. It gives a picture of a place with no floor. Did you ever have a dream that you were falling? In my first pastorate, while driving on a hill, I didn't negotiate the curve correctly. My car fell 40 feet and was totally demolished. For the next several months, I would wake up in the middle of the night, dreaming of that helpless feeling of going over that cliff. Absolutely nothing I could do. In a cold sweat, I'd be jerking around, again reliving that fall. Margaret would wake me up and tell me it was all right, and I'd put myself together and go back to sleep. This happened night after night after night, and I remember that hopeless feeling of falling with nothing to grab on to. The Bible describes hell as a bottomless pit. When we're here in this earth, we have a possibility of establishing a relationship with God and His Son. But we consciously choose, "I want to do my own thing. I want to go my own way." We decide to let go. So when we're in hell, there's a sense of falling, falling away farther from God today than we were yesterday. He's so far we can't reach up, and He can't touch us. I woke up a dozen times last night, with the same thought would come to my mind: "Oh, God, in the morning I'm going to speak on hell to my people. And it's possible that in a crowd of several hundred people, some are going to a Christless eternity. God, what can I do? Can I say something or do something that will change somebody's mind? What can I do to keep my people from going to hell? " I want to tell you, I would do anything I possibly could to keep you from going to that place. If you go to hell, you'll pass over this message this morning, and the prayers of loved ones for you. But most importantly, if you go to hell, you're going to have to go to the cross of Jesus himself, and look with disdain at Him, and say, "Jesus, I do not accept you as Savior. I do not accept you as Lord of my life. I want do my own thing." 1. Unbeliever - You need Christ! If you go to hell, it's because you choose to do so. You've chosen to reject Jesus. 2. Believer - Show someone the way to heaven! You are the only one that will keep someone from hell. Every one of you. You have someone under your influence, and you are the only one that's going to keep them from going there. And you'd better realize it. That's why we teach soul winning and witnessing in this church. You better learn how to bring somebody to Jesus. Because some of your friends will never come and hear me preach, they'll never come and hear a Christian song, they'll never come forward. So all of you need to feel the personal responsibility. 3. Church - We must be redemptive! The church's mandate and mission is to get the bride ready for the groom. Our purpose is to fulfill the great commission. Listen to me very carefully. Skyline is not a country club, where members pay dues for rights and privileges to sit in pews and listen to messages and go home with lives unchanged. And this is not a performing arts center, where you come and sit and drop in your tithe for me to preach and people to sing, to be entertained so you can be a merrier Christian. This church is to win people to Jesus. And we will not allow anything to stop us from that mission and mandate. And that is the reason we're planning to relocate and build a larger sanctuary. And we'd better remember that. Thousands of souls a day are dying into a Christless eternity. And there is no room in this congregation for church members who think that this church is to serve their needs, and feed them so they can go around being fat‑over‑stuffed porkers. We're to win the lost. In the last two Sundays, not including this one this morning, we've had 27 adults find Jesus Christ as personal Savior in this church. Lets bow our heads. 1. _____________________ will be brought to judgment before God. 3. ____________________ will be assigned ___________________. 2. Isn't hell a stiff penalty for not believing in Christ? B. Regarded Christ's Blood as _____________________________. C. ____________________________________ the Spirit of grace. 1. _________________________ - You need Christ! 2. _________________________ - Show someone the way to heaven! 3. _________________________ - We must be redemptive!